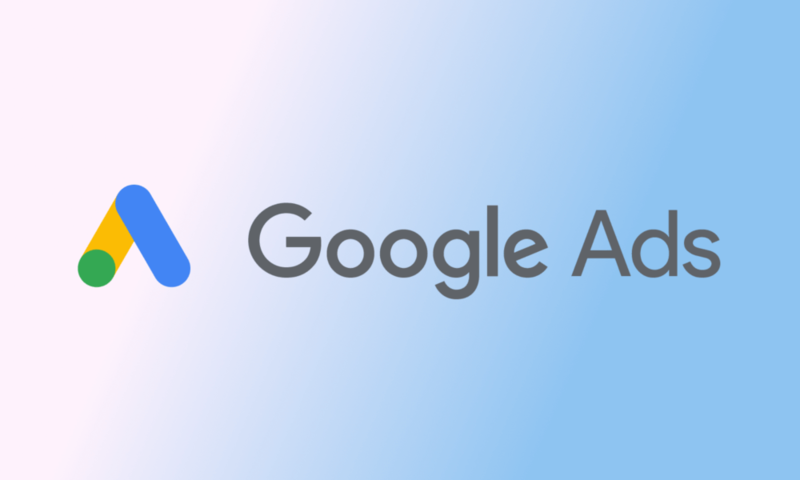 Google AdWords is a contextual advertising system that shows your ads to people who ask the search giant questions that your website may answer. This is a paid service. 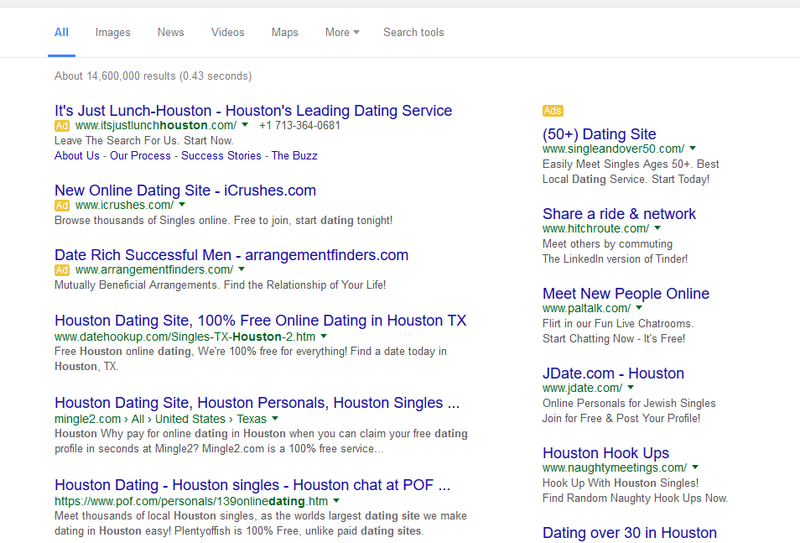 Let’s say the search query is “dating in Houston”. Google then displays relevant websites according to their actual ranking, and the websites who paid to be displayed for this particular query. Advertising with Google AdWords is an effective way to bring traffic to your dating website. 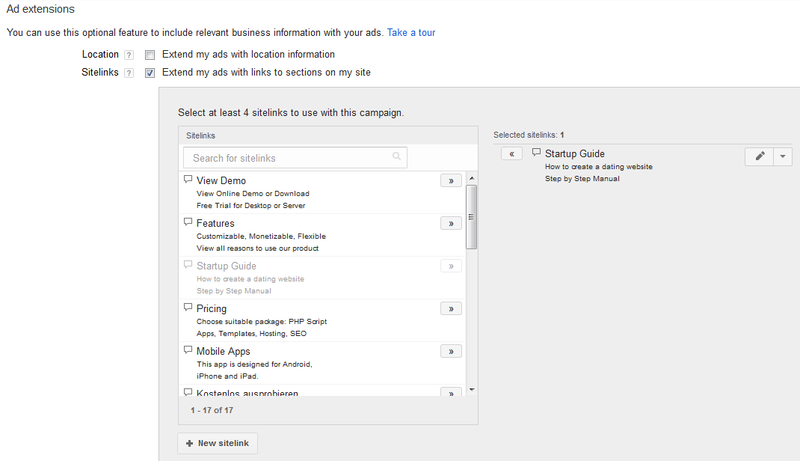 In this article we would like to show you how you can set up your first advertising campaign in Google AdWords. Let’s start with taking a closer look at the account. You can start campaigns, each with its own budget. For every campaign there is an ad group, for example a type of traffic source (social media) or a type of goods/services (free membership period). 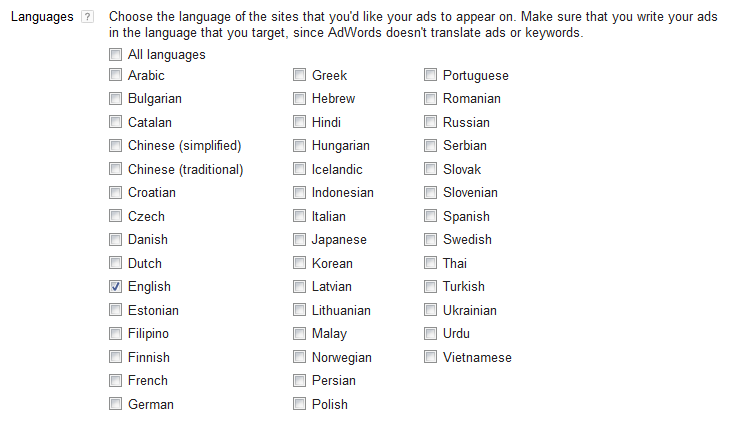 For every ad group you create an ad and select keywords. 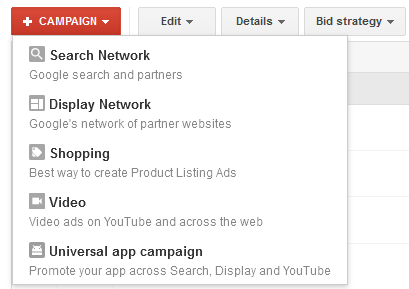 First, you get to select campaign type: Search Network, Display Network, Video, Universal app campaign, etc. – Search Network will publish your ads across Google search results pages, on Google Maps, and on the Google search partner websites. – Display Network will have your ads displayed on the partner websites that show relevant Google ads. – Video campaign type is dealing with video advertisement on You Tube. You will find more information about campaign types here. We recommend starting with the Search Network because it is more cost efficient. 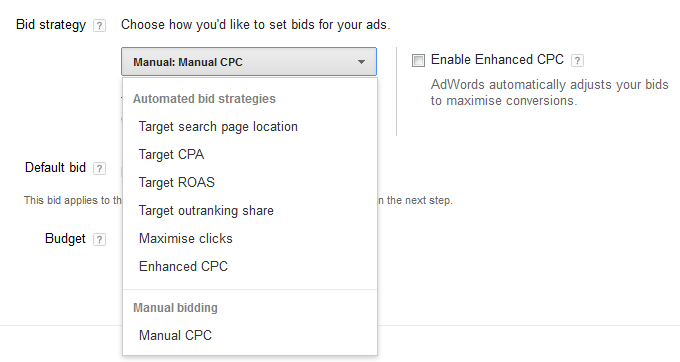 After you selected the campaign type, you see a new page where you can enter the name of your campaign, choose eligible devices, locations that you want to target or exclude from seeing your ads, also languages, budget and bid strategy. More about these below. Devices. By default, new campaigns target all devices, including desktops, tablets and mobile phones. You can limit the list of devices for your ad. Locations. Choose one or more geographic locations. Your campaign’s ads will only be shown to people in this area. If you are correct in defining your target audience, your campaign will bring you higher return on investment (ROI). Languages. The system takes the person’s language settings from their Google account, or the search query, or the history of viewed pages, and shows ads that only match these options. There are manual bidding and automated bid strategies. – CPC is cost per click, where you pay for every click on your ad. – CPA is cost per acquisition, where you only pay when your ad delivers an acquisition, e.g. new signup on your dating site. – ROAS is return on advertising spend, calculated as dollars earned divided by dollars spent on your ad campaign. To begin with, select automated bidding option. The system will manage bids to bring you the best/most clicks possible within your budget. If you are interested in managing your ad campaign manually – which can help reduce costs, – set up maximum CPC and maximum daily budget. Ad extensions are a great way to show extra information in your ad, such as your phone number, physical location, and links to your website pages. Call button will be available in mobile devices so people can click and contact you directly from the ad. The extensions do not cost extra. Their goal is to increase your ad’s visibility and performance. Learn more about how to set up ads extensions here. Once you are done with the above, click Save and continue to get to the actual text of your ad. Use key phrase in the headline. It will help attract attention to your ad and will increase its click-through-rate (CTR). Put a dot, a question mark or an exclamation mark at the end of the first line. This trick helps to increase the length of the headline that people will see in the search results page. Use ‘call to action’ in your ad. Prompt people to call, to sign up, to buy, etc. Check this article by crazyegg.com for more tips and ideas. Use short URLs to make them more attractive visually and easier to memorize. For keyword selection guidelines please view this article in our blog. After you go through all the steps, add keywords and specify your billing data, do the double check and then activate the ads. Contextual advertising is an effective tool to use at any stage of your project. It helps to bring target audience to a new dating website, to draw people’s attention to special promos and offers. We’ll be happy to discuss the topic further. Please feel free to comment below or reach us at sales[at]pilotgroup.net.